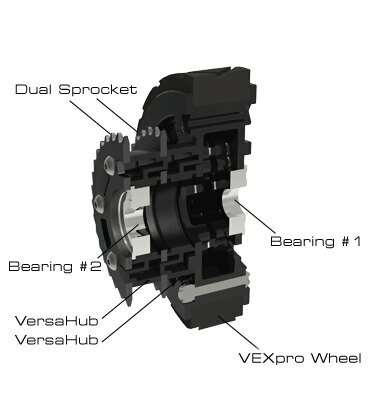 VEXpro VersaHubs provide frustration-free torque transfer between wheels, gears, sprockets, and shafts. VersaHubs include the innovative VersaKey mounting system -- VersaKeys transfer torque between coaxial items, and also ensure everything is piloted correctly. 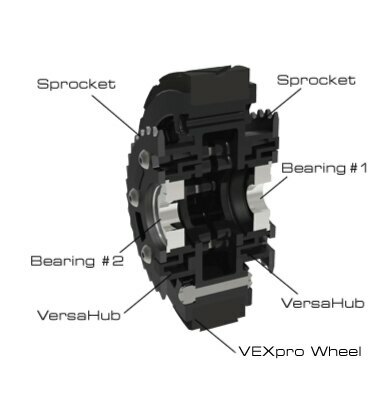 All VEXpro Versa products have the innovative VersaKey mounting system with holes that makes it easy to mount wheels to sprockets, gears, shafts, and bearings. The patterns pilots items together without relying on screws. There are 6x 8-32 screws on a standard 1.875” bolt circle. There are 3x male and female keys on each side that transfer torque and pilot items together. 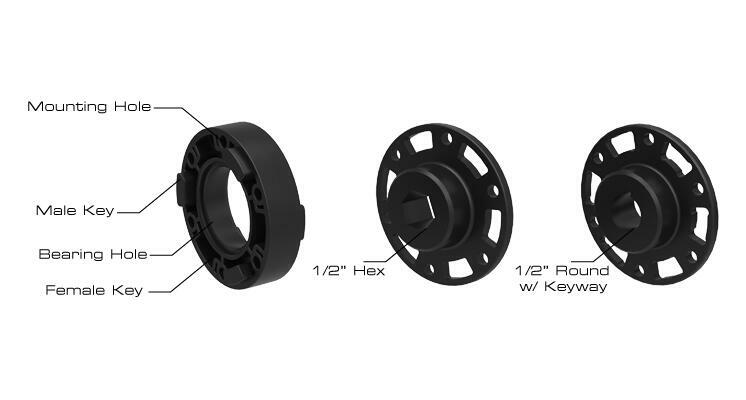 VersaHubs are available for sprockets, ½ hex, and ½ round. VersaHub for sprockets have a flush mount hole for 1.125” OD bearings. VEXpro wheels have the VersaKey pattern on both sides. 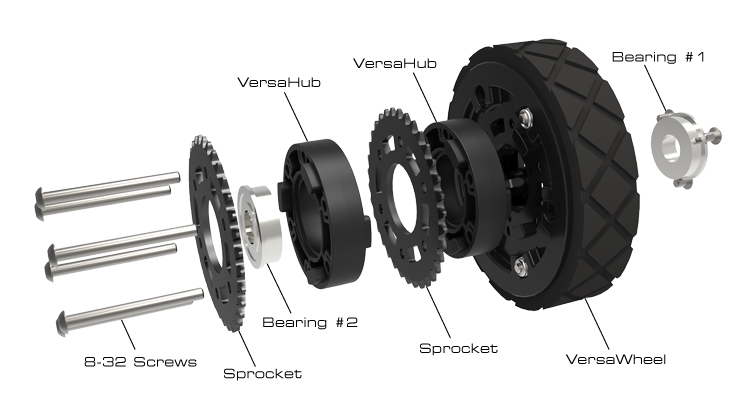 VersaHubs provide space between the wheel and sprocket, align the sprocket, and transfer torque. 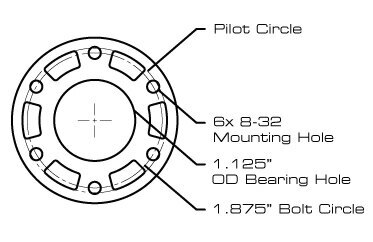 1.125” OD bearings flush mount in the hub and wheel. Bearing #1 is retained with 3x 8-32 screws into the wheel. Bearing #2 is retained by the hub and sprocket.